New research by Lazard has found that the wind power and solar power costs have dropped 50% since 2008. Furthermore, the research also finds that solar power costs are now lower than fossil fuel power costs in the specific energy markets in which it competes. 2. Similarly, residential solar power costs don’t compete against the “average,” wholesale cost of electricity. They compete against the retail cost of electricity. Obviously, retail electricity costs more than wholesale electricity, so solar costs are again competing against a higher rate than the “average” rate that is often quoted when talking about such matters. 3. 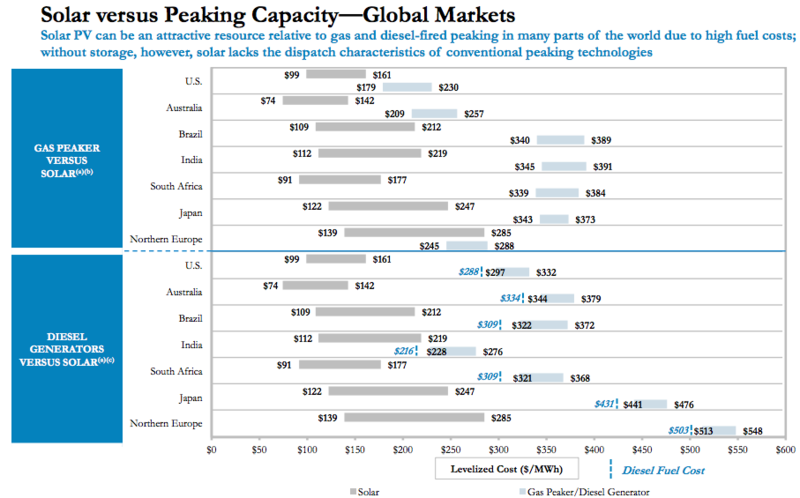 As solar power grows around the world, more solar panels are developed and the cost of those solar panels drops. Furthermore, as a local or regional solar market grows and matures, the “soft costs” of installing solar panels (labor, advertising, overhead costs, etc) come down. The bottom line: solar power is already the cheapest option for new electricity in many applications… but it is getting even cheaper. Something not mentioned in that takeaway point, however, is that there are currently government incentives for solar power in many places that make solar power even more competitive, but those are being reduced (and will continue to be reduced) as solar power costs come down. So, I really don’t think that waiting for solar power costs to come down further is a smarter move than going solar today (in many places). So, what are you waiting for? Go solar! !